The world’s finest air compressors has decades of experience in the design and operation of energy efficient compressed air systems. 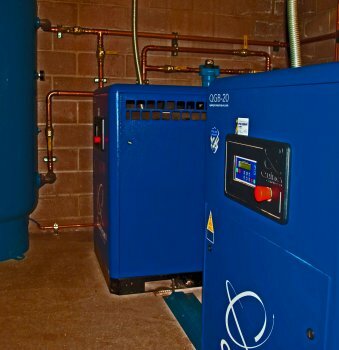 Our rotary screw and piston air compressors, vacuum pumps and air treatment products can be found in the most demanding and critical installations. That’s why thousands of people and industries count on Quincy quality and reliability! McGee Company is a leader in the sales, service and support of a wide range of air compressors, vacuum pumps and air treatment equipment. 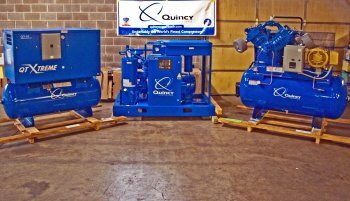 McGee Company is a Quincy Compressor Distributor, Chicago Pneumatics, and Champion Distributor. 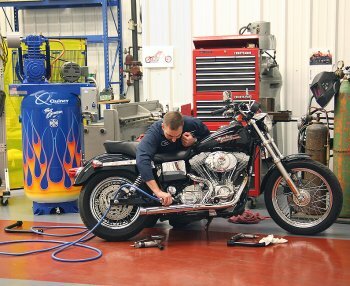 We are also a distributor for Hankison and Belair air dryers and equipment. In addition to being a dealer for many the major compressor and air treatment manufacturers, we also fabricate and service equipment for all customers large and small. McGee Company is ready willing and able to meet all your compressor and air system needs. 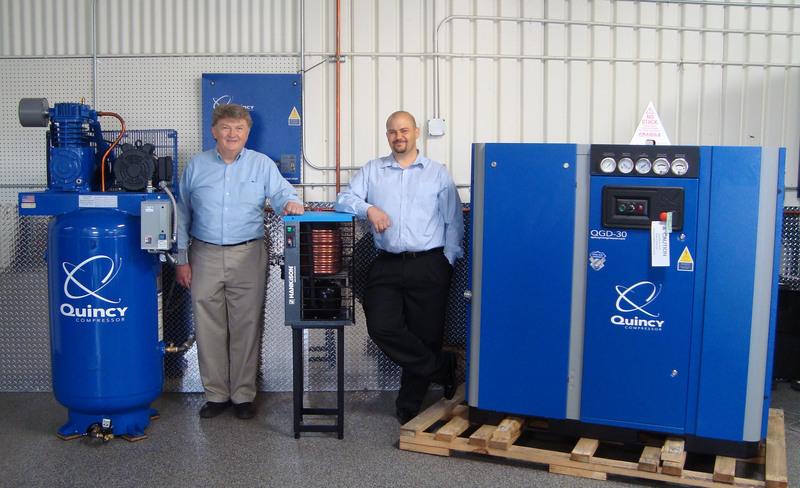 Contact Jeff Robbins, Jason Kretzer, or Webster Owen who has a combined compressors sales experience of over 40 years.